Forrás: Daily Mail. Szerző: Chris Pleasance. 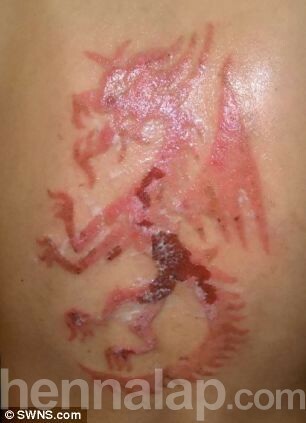 Two schoolboy brothers have been scarred for life after temporary tattoos burnt into their skin on an Easter Holiday from hell. While henna itself is a harmless natural product used to turn the skin dark brown, ‘black’ henna is usually made using hair dye which contains harmful chemicals which burn the skin. On the plane home Liam and Owen couldn’t stop itching and had to be pulled out of school when they returned to the UK as the patterns turned into sores. The dodgy tattoos have permanent scars on their backs and the brothers now can’t take their tops off in the sun as doctors warned to avoid direct sunlight on the area. 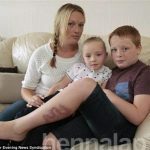 Their furious mother Alison, 48, yesterday warned other parents thinking of letting their kids have holiday tattoos to think twice. 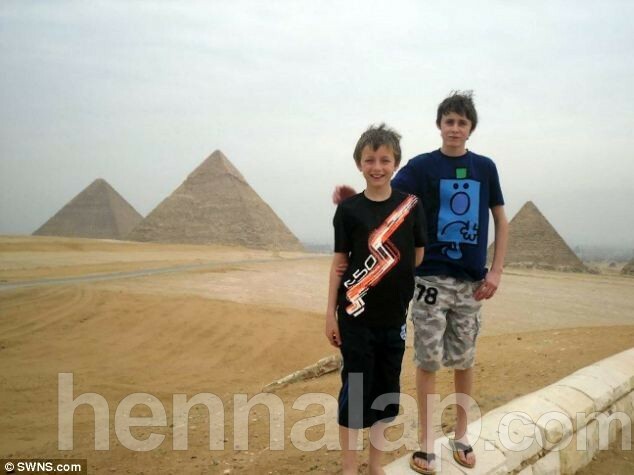 The full-time mother said: ‘The boys had been asking for henna tattoos and I gave in and we had them done by the man running the gift shop in the hotel. ‘We sat in the gift shop whilst he did them. Now I wish I had never let them have them done. ‘As a parent I was mortified and devastated by what I saw. They had pussed and swelled up massively. The mother, who has been locked in a three-year legal battle, added: ‘I can’t believe it has dragged on this long. The pain and suffering my boys have been through I wouldn’t wish it on my worst enemy. ‘But all that is compounded by Virgin and their reaction. Their behaviour has been awful and that have treated us with contempt throughout this process. 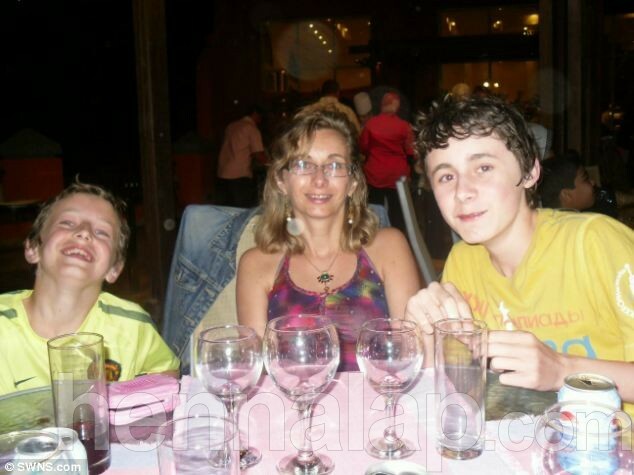 The family went for a week-long stay at the Movenpick El Solhna, in Egypt in April 2011, when Liam was 13 and Owen was just 11. 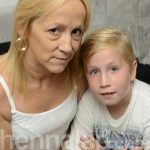 Alison, of Standon, Herts., said: ‘I took the boys to our doctor who said they were experiencing a reaction to the chemical PPD[Para-Penilen-Diammine] which is used in black henna. ‘He diagnosed contact dermatitis and they were given a steroid cream and moisturiser to assist with the healing and discomfort. But seven months later the tattoos still had not healed and she had to take them to a specialist dermatologist. She added: ‘Despite all the time the scars were still visible and he believed it would take several more months for the reaction to settle completely. ‘It was a horrible experience for us all to go through. The boys because of the pain and discomfort and scarring, and as parents, seeing the boys in so much stress and not knowing what had happened to their skin. The boys have now been told they will not be able to have a permanent tattoo, dye their hair or have piercings because of the reactions they suffered. The family’s solicitor Nick Harris, head of travel law at Simpson Millar solicitors, said: ‘People assume, when they stay at an all-inclusive resort, that the facilities provided will be safe to use. A Virgin Holidays spokesman said: ‘Virgin Holidays were concerned to learn of the reaction that these customers experienced following the henna tattoos they had during their holiday to Egypt in 2011.